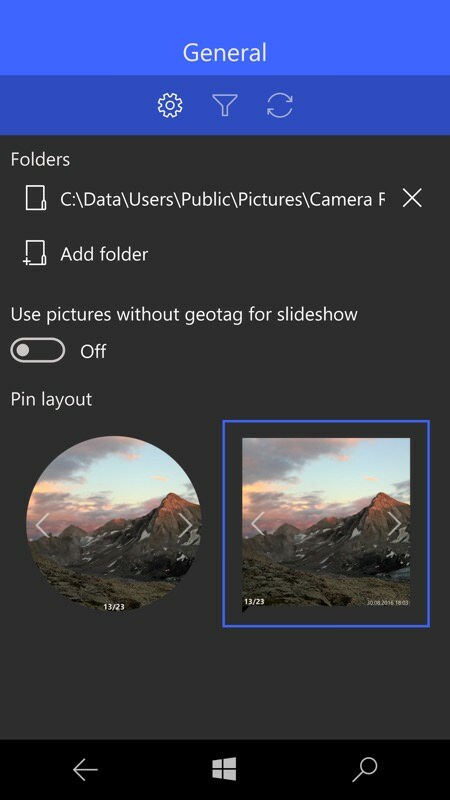 The idea behind GeoPhoto has always been simple - look at the EXIF location data in your stored photos on the phone (or, optionally a Cloud source such as OneDrive or Flickr as well) and display thumbnails overlaid on a 2D map of the world. Nokia tried something similar with Lumia Storyteller back in the day, but this got canned in the great Microsoft buyout, leaving the field open for this longstanding third party alternative. 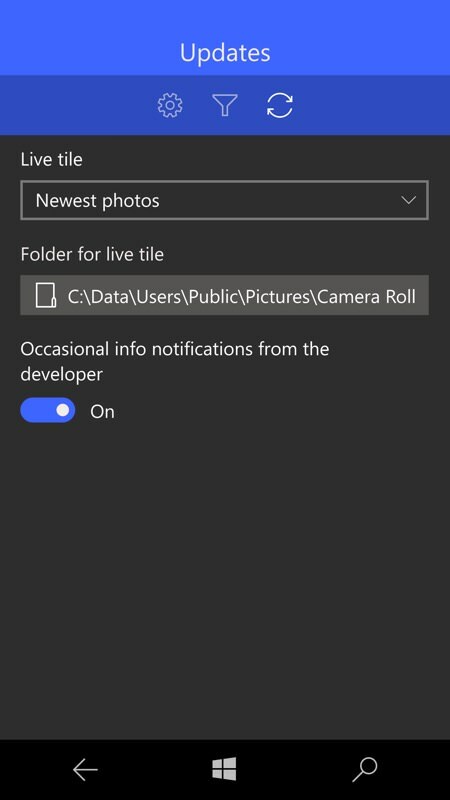 GeoPhoto's pretty mature for Windows Phone 8.1, and the UWP version brings along most of this stability. It's slick and responsive at every point, with adverts on the free version but an in-app-purchase to remove these and also unlock unlimited retro-geotagging of photos. Which seems very reasonable. 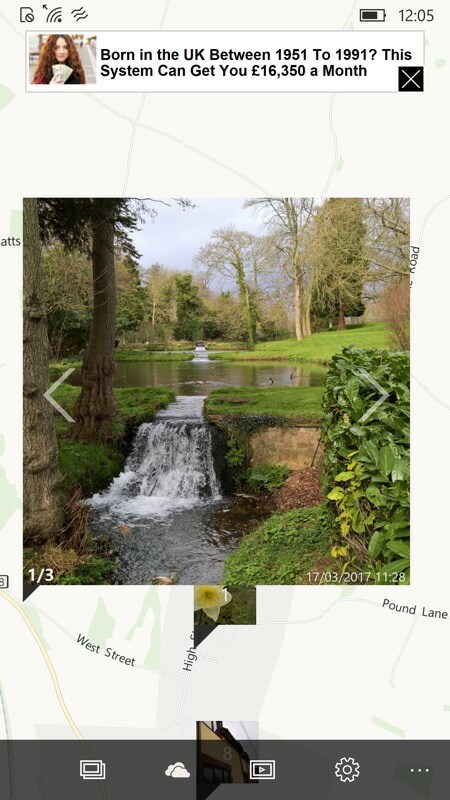 You can choose where GeoPhoto gets its images from - by default it's your phone's Camera roll, but you can add extra paths, either for a third party camera application or for some favourite images archived onto your microSD (etc.) 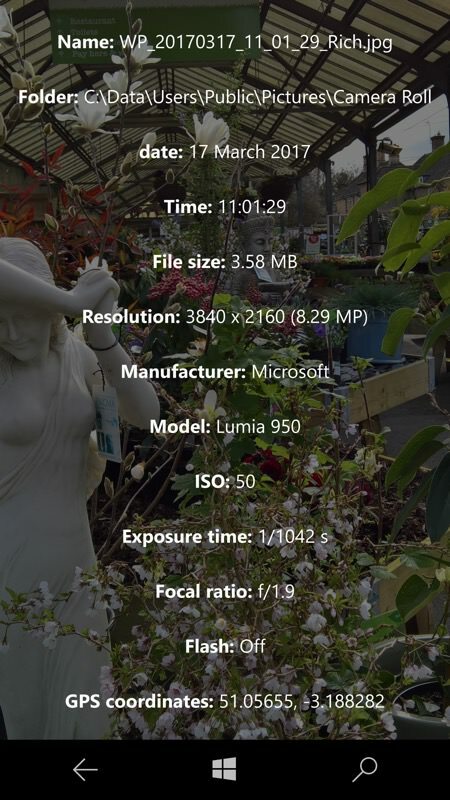 You can even specify several Cloud sources for photos, including OneDrive, though be warned that loading photos from a large source (as in my case) took multiple minutes - unsurprisingly, I have over 10,000 photos on my OneDrive! 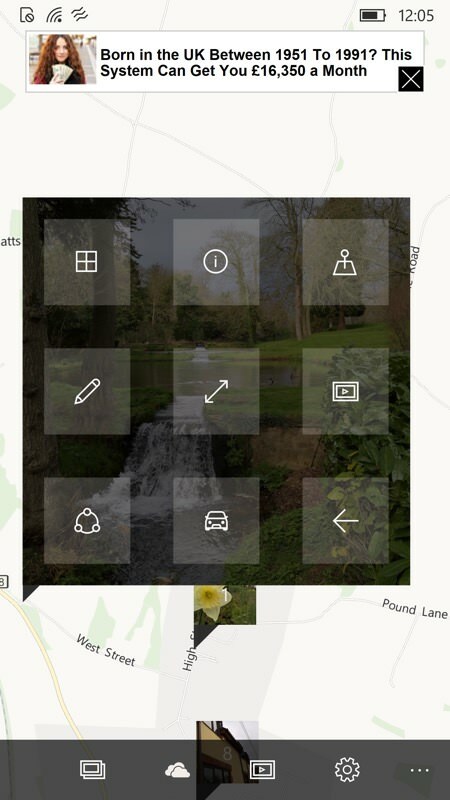 Thence, left and right taps cycles through all photo (previews) for that location and tapping the photo itself toggles it to a grid of controls, including going full-screen and (shown below, left) a detailed breakdown of the EXIF data, set artily against part of the image itself. So far so good and your geotagged photos (i.e. 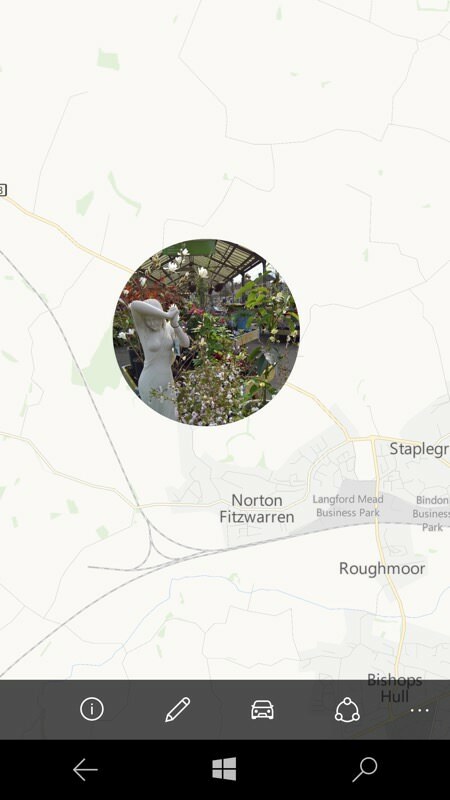 those taken when you've allowed Camera to have permission to access your location, in Windows 10's Settings) should appear in the right spots on the map - if all is well then you'll have great fun browsing around, for example revisiting where holiday snaps were taken. Unfortunately, things rarely go to plan here. 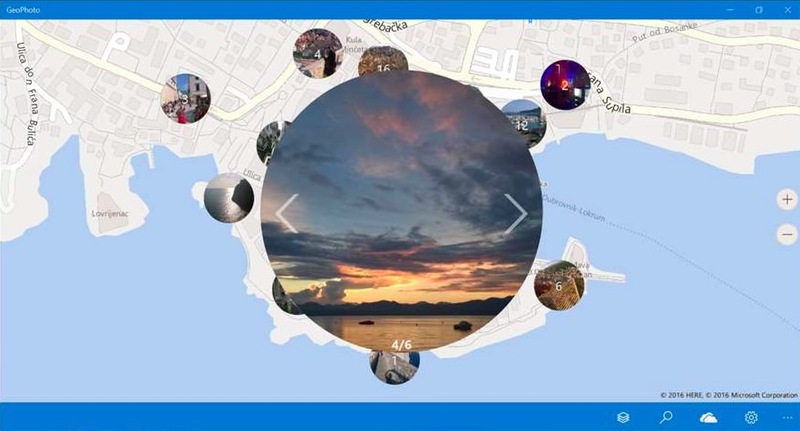 The screenshot above, right shows some thumbnailed photos that were taken nowhere near the location shown. This isn't GeoPhoto's fault, it's simply reading the location field in each photo's EXIF data. 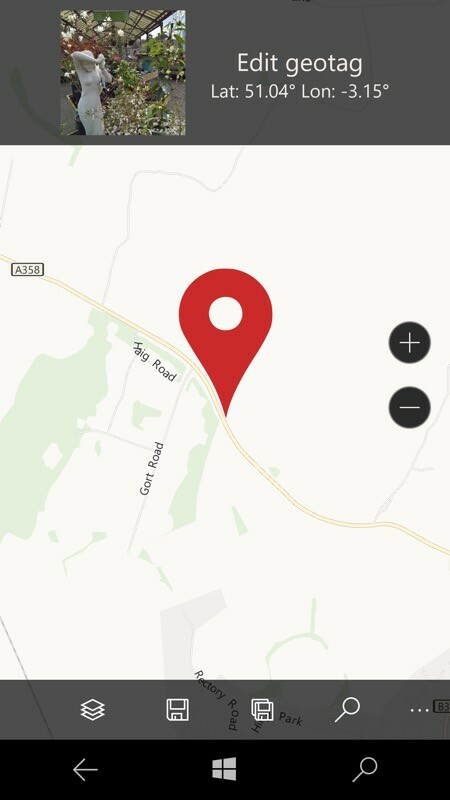 But it does beg the questions of how this happened in the first place (usually your phone not having completed an exact GPS fix in time while you were taking quick photos) and how to fix the EXIF location data. 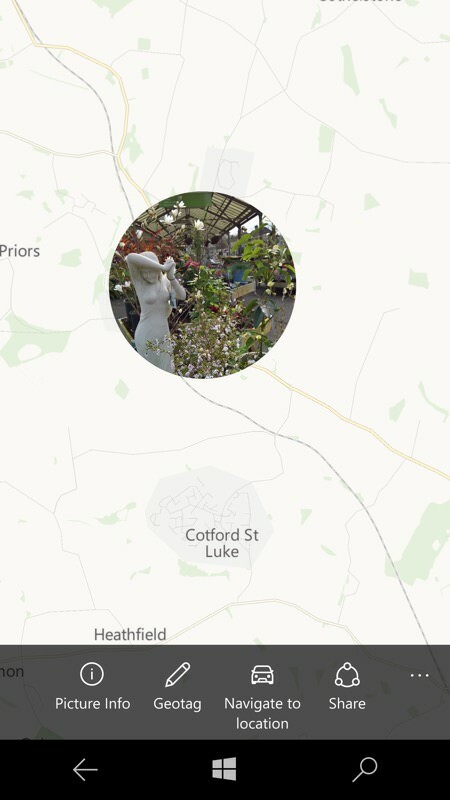 And this is GeoPhoto's party piece - it can let you correct faulty locations (i.e. in the EXIF data) or even add them in where a photo was snapped with no location data at all. 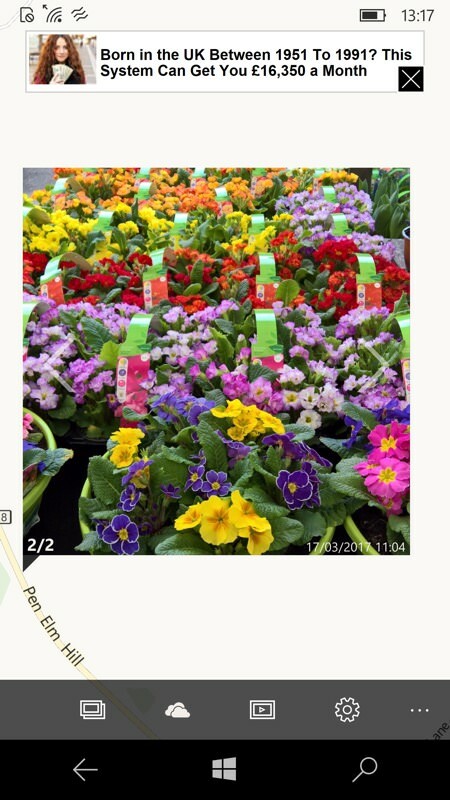 In the example below, a shot from a garden centre is shown as a full two miles from where it was actually taken. 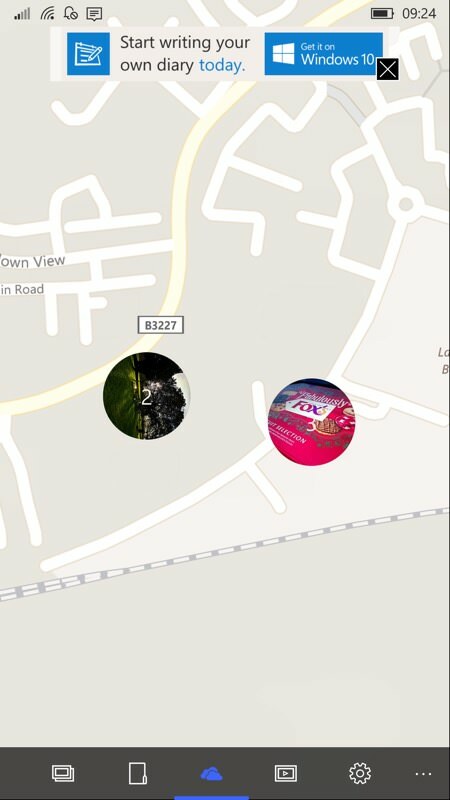 Tapping the geotag control brings up a map editing interface - just browse around, zoom in and out as needed, tap on where the photo was actually taken and, finally, tap on the 'Save' control. It all works rather brilliantly and, if you go back to the main view, you'll see that the photo is now geotagged correctly and that the thumbnail is in the right place. And, should you then share this photo, others will see the corrected metadata, of course. One curious omission - or maybe I just didn't find it(!) - was being able to remove geotagging data from an image. Many a time I've shot a photo and, for privacy reasons, want the EXIF location scrubbed - and this seems like an obvious function to include here. Am I missing something? 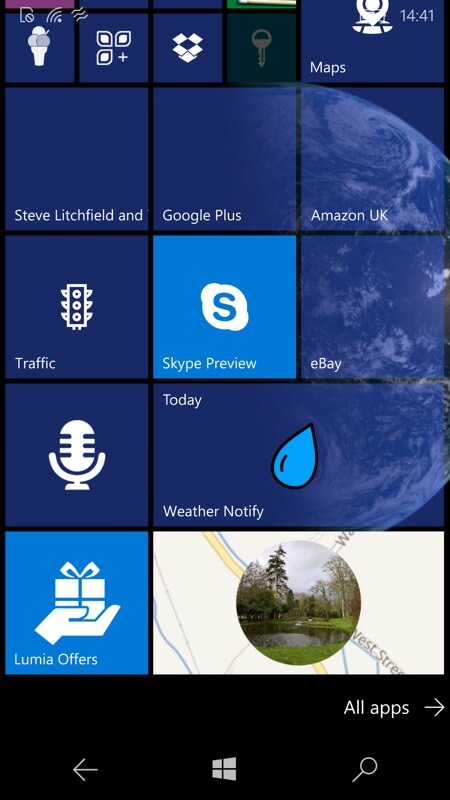 Also worth noting is the fabulous live tile, working in all three sizes and showing newest (or random) photo thumbnails set against their map backgrounds. I've left the developer notifications toggle on here, as I'm genuinely curious as to what he might like to communicate with his users - perhaps some special offers on the IAPs? 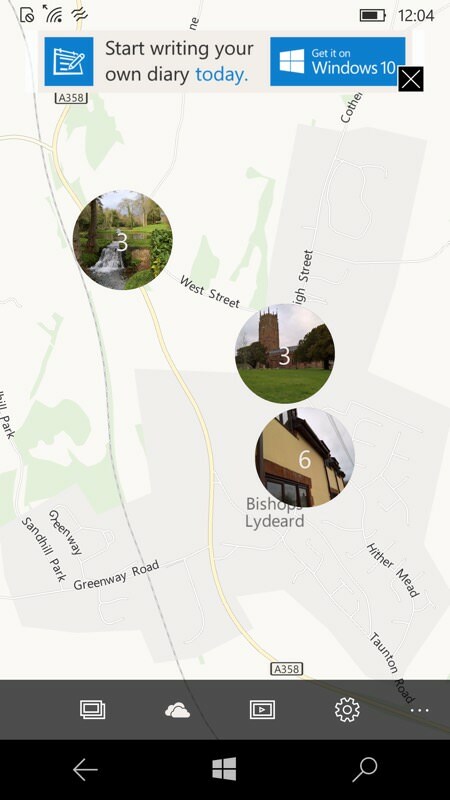 Whichever variant of Windows Phone/Mobile you're running, GeoPhoto is well worth a look - you can use the map browser as much as you like for free, plus you can fix up to three geotaggings before you're required to pay.